The Interior Department is expected to release an updated plan soon on where the agency will hold offshore oil and gas lease sales in the Arctic over the next five years. Many organizations on the North Slope offered comments on the draft proposal. Now they’ll be looking to see whether their feedback resulted in changes to the new plan. In comments made available on a federal site, most North Slope institutions didn’t express outright opposition to the plan, but they did voice concern for subsistence resources and hunters’ continued access to them. A point that was repeated by organizations like the Alaska Eskimo Whaling Commission, the North Slope Borough, and Arctic Slope Regional Corporation was the importance of exclusion zones. Those would take areas critical to whaling off the table for leasing — something that North Slope groups point out has been done for previous leasing programs. AEWC, ASRC and the NSB proposed to exclude a 25-mile coastal buffer zone in the Chukchi Sea, and areas that whalers in Kaktovik and Utqiaġvik use for whaling. That drew criticism from Voice of the Arctic Iñupiat, an advocacy group composed of 20 Iñupiat leadership organizations on the North Slope. Their comment closely mirrored a letter they wrote last year to then-Interior Secretary Ryan Zinke expressing strongly-worded concerns about the fact that the plan did not set aside important subsistence areas. The North Slope Borough also wrote that the proposal for six lease sales was “aggressive.” The borough said that such a program could be seen as a threat to the bowhead whale by the International Whaling Commission — the international group that sets the subsistence harvest quota. The borough suggested two lease sales be held instead of six over the next five years. Another suggestion brought up by several groups was the idea of requiring offshore oil and gas operators to work with local whaling captains to make sure industry vessels don’t disrupt whaling activities. The Alaska Eskimo Whaling Commission developed the process, and oil and gas companies have committed to it on a voluntary basis. A key component of the agreement is deciding when oil and gas activity should be shut down in certain areas to allow bowhead whale migration to happen unimpeded, and to give hunters free movement on the water to hunt. 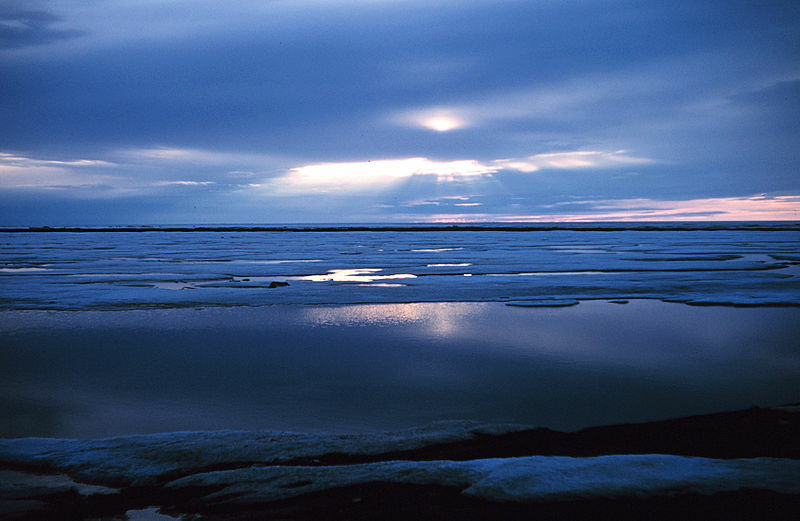 A few institutions also stated their support for putting some Arctic waters back on the table for leasing. ASRC was among them, writing that the Obama administration’s actions to limit Arctic leasing had been “extremely shortsighted and arbitrary,” and that offshore development could bring long-term economic stability to the North Slope and Alaska more broadly. However, ASRC also emphasized their concern that the longstanding subsistence areas were not set aside from the get-go. They emphasized the importance of honoring the exclusion zones to balance energy needs with subsistence protections for the North Slope. On the other end of the spectrum, the City of Kaktovik submitted a resolution that unequivocally opposed offshore development, as well as development in the Arctic National Wildlife Refuge. “Our people are divided over the opening of ANWR for oil & gas drilling on land, but stand united in strong OPPOSITION to any offshore oil & gas activity and development,” the City of Kaktovik wrote in their comment, citing concerns for subsistence resources. Another Kaktovik organization, Kaktovik Iñupiat Corporation, is a member of a corporation called Arctic Iñupiat Offshore, which contended in their comments that with proper protections offshore development can happen safely.